Do you want a ticket to learning mobility in sport? - Sport organisations appreciate the benefits that would flow to the sector from an enhanced level of mobility and exchange. - Yet on the over side sport is suffering from a lack of awareness of the opportunities offered by the EU funded programmes as well as other available opportunities (e.g. national, regional and local levels) and the sector has only participated at a low level in the EU funded programmes (from previous Lifelong Learning Programme 2007-2013) designed to make learning mobility a reality. 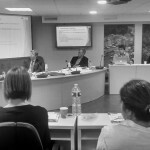 The demand from the sport sector has therefore lain dormant partly because awareness levels of the opportunities offered by the EU funded programmes has been low and partly because sport has lacked the organisation and capacity to engage. 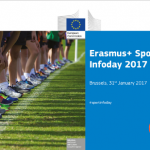 Funded under the European Commission Erasmus+ Sport Chapter, T2MIS is an 18 month project which started in January 2017. 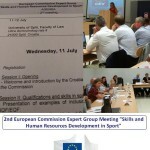 The 4 official partners, including the applicant EOSE, are representing various fragments of the overall sport sector: representative of sport employers (WOS, NL), a Higher Education Training Provider (MRU, LT), a national sport council (SportMalta) and an EU umbrella sport organisation specialised in education and employment (EOSE). The kick-off meeting which took place on the 11th of April 2017 showed that these organisations are bound together by a shared vision, interest and expertise in developing and/or supporting learning mobility scheme. T2MIS will deliver an online European Mobility Tool for the sport sector. The tool will aim at simplifying and clarifying the presentation of existing Learning Mobility funded opportunities and to raise the level of awareness of such opportunities within the sport sector. 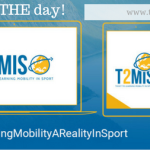 The T2MIS is a first step in a wider strategy whose overall objective is to create the conditions to support sport in accessing and implementing an enhanced level of quality learning mobility. - To provide quick access to some good practices and key documents. Following a deep desk research for funding opportunities and good practices, the European Mobility Tool for the sport sector will be designed and tested through national consultation and we expect the final launch to take place in May 2018. Meanwhile we want to hear from you! If you are willing to share any good practices or testimonials as regard Learning Mobility in the sector please get in touch with us!